I'm in the middle of writing a long & winding update about life, love & two little gentlemen who run our lives now. Hopefully I'll finish it today while Ben's at day care & my car is in the shop but I make no promises. In the meantime for the few of you that aren't on Facebook, I will share with you what Ben is wearing to daycare today. 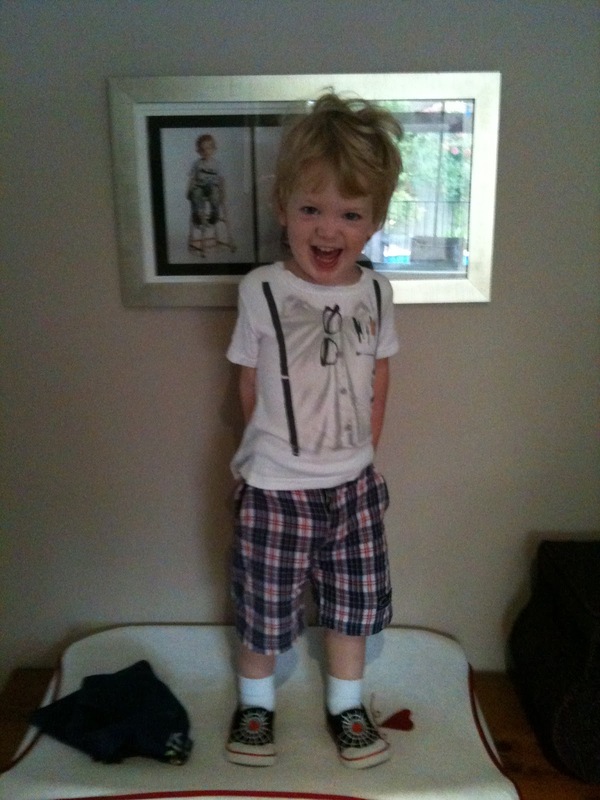 He truly is my son ... until child services takes him away from me for crimes against fashion. Yes, he's posing in front of pictures of himself - deal with it. Hope it's lovely in your corner of the world! Your burgled baubles bore me.